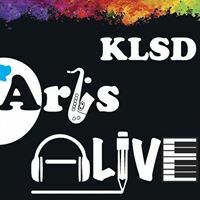 Minutes: KLSD ArtsALIVE Board of Directors Meeting, January 8, 2019 – KLSD Arts Alive! KLSD ArtsALIVE Co-President Julie Oyen called the regular meeting of the KLSD ArtsALIVE Board to order at 7:05 p.m. at the John Jay Middle School conference room. Barbra Milone motioned to accept the minutes from the December 10th Board Meeting. Andrew Meikle seconded the motion. Approved. Colleen reported Encore Cabaret ticket sales surpassed last year’s event. Both Dr. Siciliano and Dr. Selesnick attended the event, as well as the Katonah-Lewisboro Times, who photographed the students. Julie thanked Colleen for her leadership in organizing the event so well, especially with such short lead time. Andre noted he could come back next January based on is current availability. 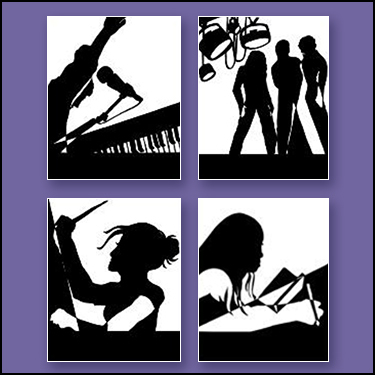 Angelina reported the Student Board is having a meeting next Tuesday, 1/15, at 3:00 pm; Julie suggested to have a student board member at the upcoming Orchestra concert to meet and greet during Meet the Artists; KLSDAA will provide refreshments and Julie will attend. Julie noted the KLSD website has a lot of information about the JJMS Art Week, which is 1/21. Topaz commented it is very easy to raise money at the elementary level based on her recent experience; a general letter is needed authorizing the purchase of the equipment from the IMES fundraiser; there will also be monies left over for next year after the equipment purchase. The Board discussed the possibility of doing a raffle / fundraiser at Guys & Dolls. Brewster HS was noted as doing an amazing job promoting the performing arts, both before and during its shows. Julie explained we will need to draft a slate of officers for 2019-2020 by this May. She added we also need a concession chairperson for JJHS. Some of the responsibilities for this role include replenishing the snacks and keeping items like baskets, table banners and decorations at the chair’s home. Ideally, it would be best to start the new chairperson soon in order to shadow current Chairperson Kathleen Fay at upcoming events; this would facilitate a smooth transition. Julie asked that all members make recruiting new volunteers/board members a priority over the next few months. Curriculum Night at JJHS is 1/23. The group discussed if we should we have an ArtsALIVE presence at the event. Tables for arts courses will be located in the hallway outside the library, so would be helpful if AA could be there. Angelina will ask Mr. Morse if there’s an opportunity for Vocal Jazz to perform. The Berklee Jazz Festival will take place on Saturday, January 26th, in Boston; Julie noted it’s worth the trip to attend to see some amazing performances and support the JJHS students. Andrew mentioned can we post something on our website to send notes to the Vocal Jazz kids on a memento wall. Julie explained our Constant Contact account needs to be cleaned up. Amanda offered to handle the clean-up. Julie reported the Spanish Club and Spanish 3 Honors Class has requested funding towards a trip to see Repertorio Espanol NYC / El Quijote on March 13, 2019. A discussion ensued about what other funding might be available to help defray costs. Liz motioned to fund $200 of the $950 request, which was seconded by Amanda. The grant request was approved by remaining board members in the amount of $200. There being no other business to conduct, the meeting was adjourned at 8:50 P.M.